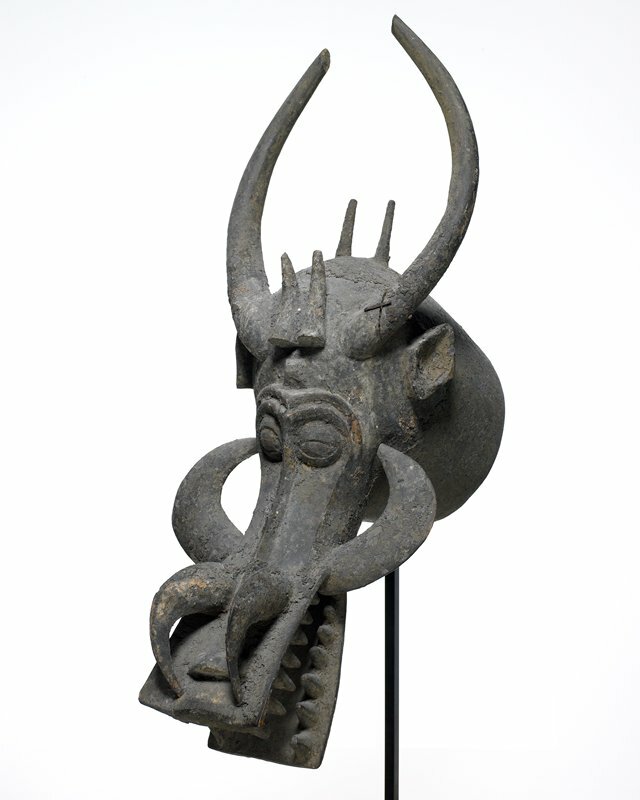 This mask is a “firespitter.” The wearer places dried grasses and glowing chips of wood in the mouth and blows on them, usually in nighttime performances when the effect is most dramatic. Get closer to the mask and you’ll see an assortment of devouring jaws, dagger-like tusks, and multiple horns. The mask is meant to evoke the terror of sorcery while also conveying the kind of supernatural warfare it takes to protect the community from ill-intentioned people.